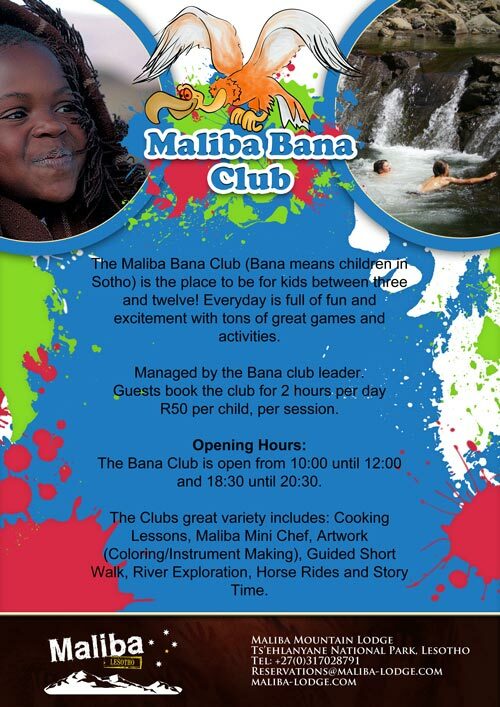 The Maliba Team is very excited to announce the opening of our Maliba Bana Club! 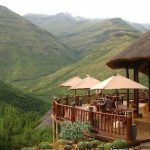 ‘Bana’ meaning children in Sotho, is a club aimed at providing a fun filled day in the Maluti mountains for our children at Maliba. Our mascot, the rare and endangered Bearded vulture, symbolises the clubs love for the environment and protection of species for our children. horse riding to star gazing and roasting marsh mallows! Indoor activities are also organised for those rainy days with artwork and baking time with our chefs. Children are welcome to join in the fun from 3 to 12 years old, bookings need to be done through head office in Durban.